This price reflects the floor model sale going on now thru September 2017. 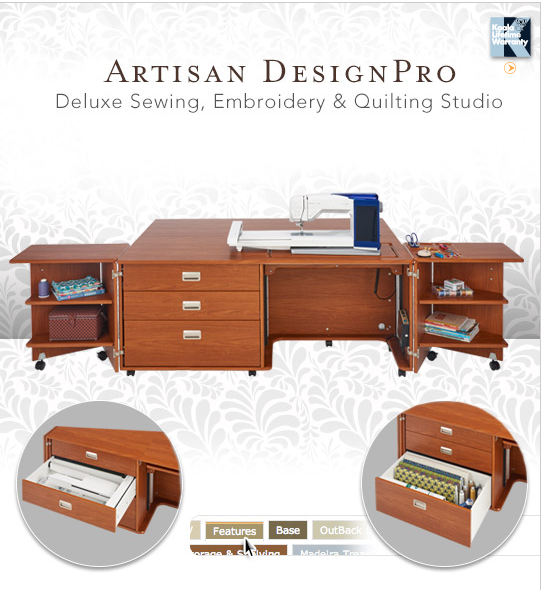 The Artisan DesignPro includes an Embroidery Module Drawer that stores both the embroidery attachment and hoops for the Viking Designer Epic. It may also be ordered with standard drawers.